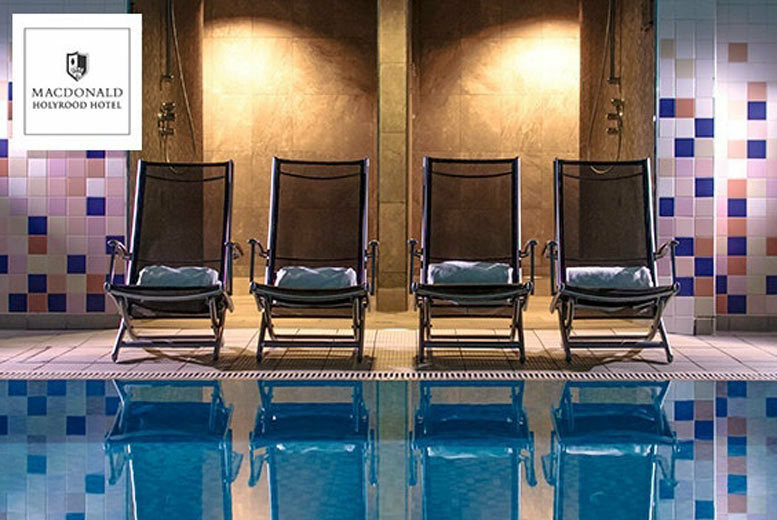 You deserve the very best, and a luxury Elemis spa day at Macdonald Holyrood Hotel is exactly that. Rated 4 out of 5 on TripAdvisor. You (and a plus one if you upgrade) will enjoy access to the first-class facilities at this 4* hotel and spa. Float your cares away in the heated pool and retreat to the relaxation suite. Plus enjoy two blissful Elemis treatments each; a hot stone or deep tissue massage and a couture touch facial. With a glass of Prosecco to cheers to the occasion, as well as towel, robe and slipper hire included. Situated in the city’s historic and beautiful old town, just a couple of minutes’ walk from the world famous Royal Mile and the Scottish Parliament building.